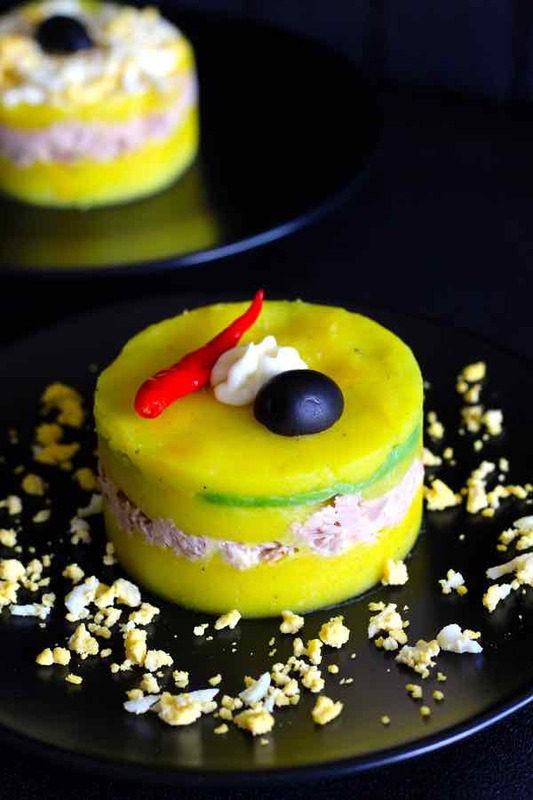 Today, I am presenting the recipe of a very popular Peruvian recipe called causa rellena. 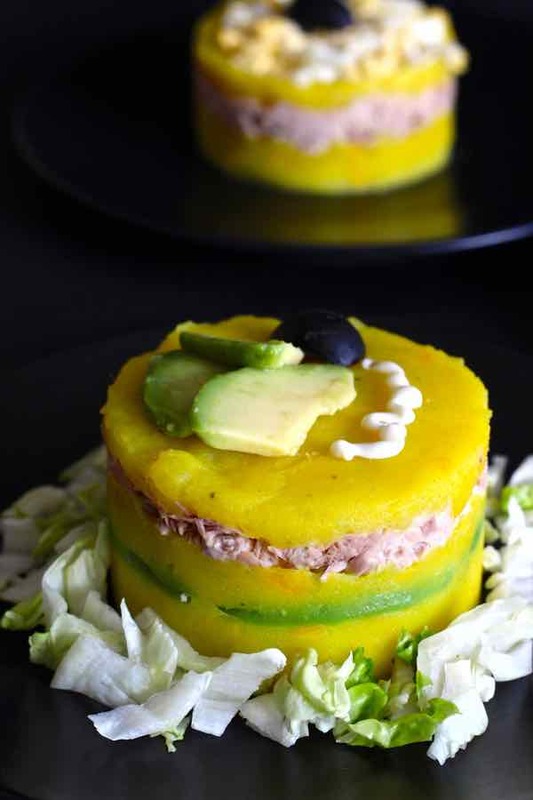 Causa rellena is an iconic recipe from Peru that combines lemony and spiced mashed potatoes with tuna or chicken or seafood and avocado. Yes, another potato story! 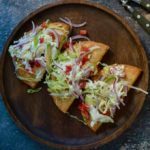 Hard to avoid the many potato-based recipes when you know that Peru offers no less than 7 potato species and more than 5,000 varieties of all shapes and colors. 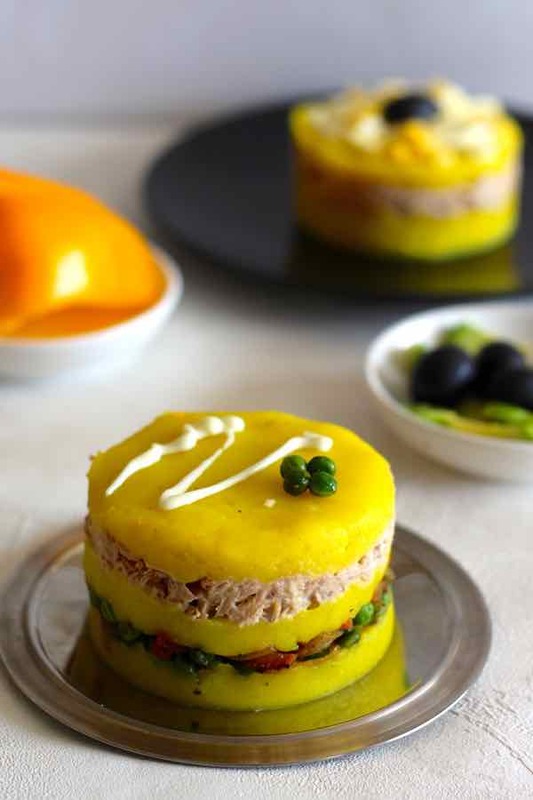 It is called causa rellena, causa limeña (Lima) or even causa peruana. 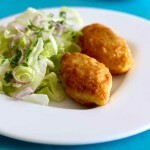 We already know that rellena means “stuffed” as I explained to you when I prepared my papas rellenas. But what about causa? It is another story that we will discover together! What is the origin of causa rellena? History tells us that this dish was born during the Pacific War in 1879 when Chili fought against Peru and Bolivia. The Peruvian army had so much trouble getting food that women were collecting potatoes and other foods in all cities. So they created the meal they offered to soldiers “for the cause” (of defending their territory). Hence “causa”! According to Peruvian food historian Rodolfo Tafur, the word causa comes from the quechua word kausay, which means “life” or “sustenance for life.” In their most essential Columbian origin, potatoes were simply boiled and eaten with ají amarillo. It was limeña causa! 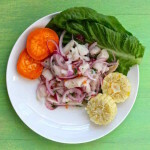 To pre-Hispanic dish kausay, people incorporated other ingredients to mashed potato depending on what was available: fish, seafood, meat, black olives, avocado, etc. One story says that causa was invented by a woman from Lima who had to feed a battalion of soldiers celebrating Independence Day. All she had on hand were potatoes that she cooked, mashed and seasoned with some sliced ​​hard-boiled eggs, and a few black olives. This dish is prepared with basic yellow potatoes and lime. There are different variants for the filling though. 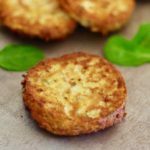 It can be prepared with tuna, chicken, seafood or other varieties of white meat. Whatever the chosen filling, mayonnaise is always added, but also often, avocados, black olives, lettuce or vegetables such as peas, carrots … Well, it seems that in Peru, almost anything is allowed as a filling for the causa! The key to this recipe is the quality of the potato. 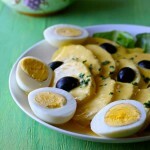 In Peru, causa is usually prepared with the queen of Peruvian potatoes, papa amarilla. I obviously couldn’t find it in Paris. After reading about it, I chose to go with Charlotte as a substitute for its yellow flesh but also for its delicious and delicate flavor. But you can also choose to prepare this recipe with another yellow potato as long as it is good for mashed potatoes. Wherever you are, make sure you go with tasty potatoes. 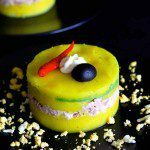 I am very tempted to replicate this causa peruana recipe using cassava root instead of potato, as in the carimañolas from Colombia. I loved this causa limeña recipe that I prepared for my son Ruben and his friend Lucas, who had both just come from Hong Kong… and they loved it too! If you do not have aji amarillo paste, you must first seed the fresh pepper, blanch it for 2 minutes in boiling water and drain before pureeing it in the blender. Peel the potatoes and boil them in salted water for 20 minutes. They should be cooked but still remain firm. Mash the potatoes with a potato ricer, then mash them by hand for about 10 minutes while gradually incorporating the lime juice, oil, aji pepper paste, garlic and mayonnaise. Add salt and pepper. Let cool. 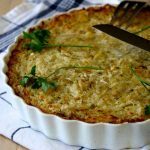 Mash the tuna with a fork and mix by incorporating olive oil, scallion, mayonnaise and chopped cilantro leaves. Decorate the top with boiled eggs and black olives or little red pepper. Wow, I love the colors of this dish! It looks very festive. Bookmarking.